When choosing new replacement windows, it’s easy to come down with a case of the “must haves”. Make no mistake, knowing all your wants and needs is essential. But it’s a good idea to focus on the most central aspects of your project first. One of the most important considerations for replacement windows is energy efficiency. 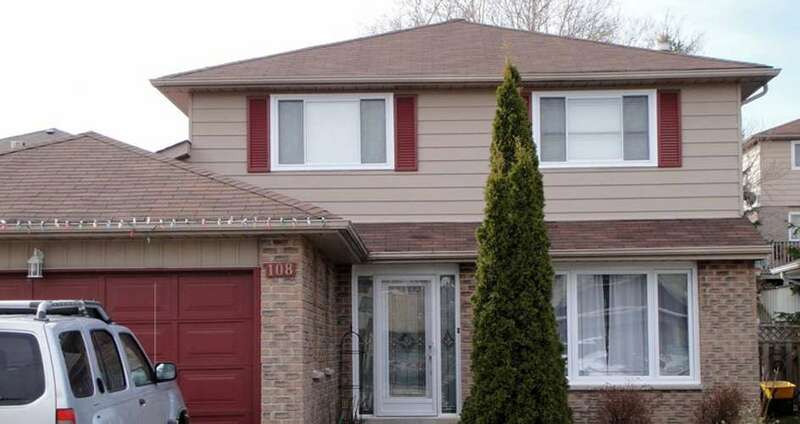 If your Brampton home doesn’t have energy efficient windows, you’re literally throwing money (excessive cooling and heating bills) out your windows. According to the U.S. Energy Department, approximately one third of a home’s heat loss occurs through windows! Of course, we all know how much of a toll our cold winters can take on our utility bills, and naturally you want nothing but the best for your home. The problem with choosing replacement windows is that they all claim to be the best. Unfortunately, that’s simply not true. This innovative guide shows you how to spot the difference between an average window and one with superior energy efficiency. Ensuring that your replacement windows are Energy Star certified is the key to minimizing heat loss through your windows. You can boost your home’s energy efficiency by replacing your old windows with ones that exceed Energy Star certifications. Even though truly energy efficient windows may cost a little more initially, the payoff is real and you will be able to see it right in your decreasing utility bills. Energy Star certified windows will have the following measurements: U-Factor and the Solar Heat Gain Coefficient. U-Factor-measures how much interior heat can escape. Lower numbers are best. Solar Heat Gain Coefficient (SHGC)-measures how much solar heat can penetrate a window. In our climate, a high SHGC is best. Contrary to the rule, more really is better, when you’re talking about window panes. Glass makes up 90% of the typical window, and the heat transfer that occurs can be significant. That’s why multiple panes are the best choice for your home. Multiple panes provide better insulation than windows with just a single pane. Your options to increase energy efficiency don’t end with multiple panes. Instead of windows with air between the glass panes, choose windows with a heavier gas such as Argon or Krypton (which has nothing to do with Superman®, by the way)! The heavy gases flow more slowly and they can slow heat transfer down by as much as 50%. A Low-E coating is a microscopic layer on the surface of the glass panes. A Low-E coating can keep heat from entering your Brampton home during summer, as well as stop heat from leaving when winter comes. Brock’s North Star vinyl windows provide you with top quality and excellent value. Our high quality Brampton windows from Brock Doors and Windows are tested and certified by the Canadian Standards Association and they are designed to sustain comfortable temperatures no matter what the season.